While 'cynical' is a fairly accurate description of Tinder, it's probably not quite so fair on the people who actually use it, many of whom are just seeking companionship. Being single and deeply cynical isn't easy, and it can make it that much harder to get in the game. If you feel like everything is stupid/pointless, you're going to have to push yourself to get through those early stages of chatting with someone online. Especially if they use a lot of emojis. 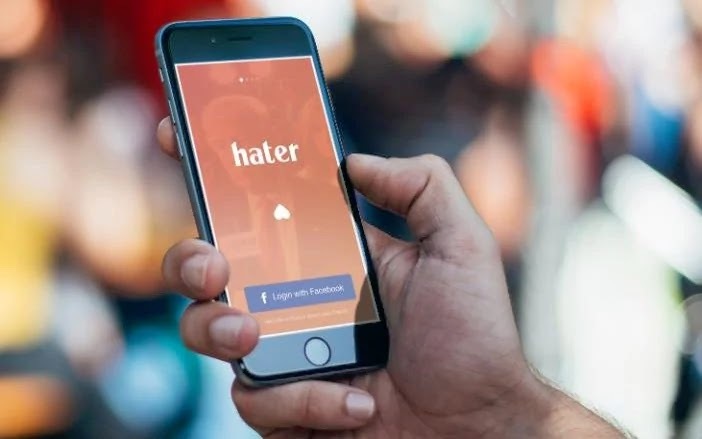 Hater seeks to remedy this, it's a dating app seemingly aimed directly at the misanthropic. We've all bonded with people while talking about things we both hate, but imagine an app which uses that as the framework and you've got Hater. Once you sign up, you're given a variety of different topics and asked to swipe them to indicate how you feel about them: up = love, down = hate, left = dislike, right = like. After that, based on the things you said you hated, you are matched up with people who hate similar things. The app officially launches on February 8th, at which time there will allegedly be around 2,000 different topics, ranging from marijuana to Donald Trump to Saturday Night Live. I couldn't tell you if Tinder is on there but they'll have missed a trick if it isn't. It's a clever business model, as people will likely start using it just for the sake of the joke, but once they start actually matching up with people, it could easily transition into a genuinely popular, and effective dating app. It's been proven in the past by apps like Tastebuds that using a particular topic or area of interest to frame matching can work a lot better than just leaving people to it, and once again, we all love to complain.